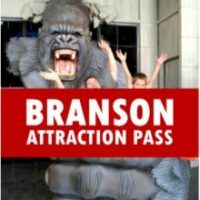 Experience one of the most breathtaking views in Missouri as you look out over the Ozark forests and mountains! 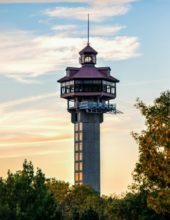 The Area’s Highest & Largest Observation Tower! Booking tip: Inspiration Tower is very popular, advance reservations are recommended! 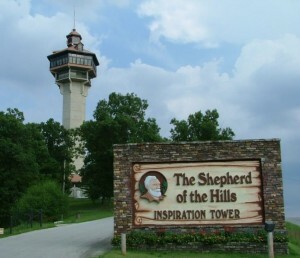 One of Branson’s most recognizable landmarks, the Shepherd of the Hills Inspiration Tower provides a vantage point and view that is unmatched anywhere in the region. 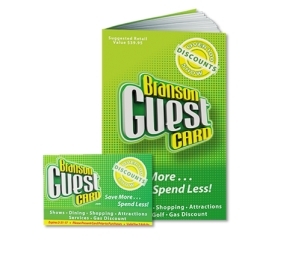 Look Out Over the Ozark Mountains! 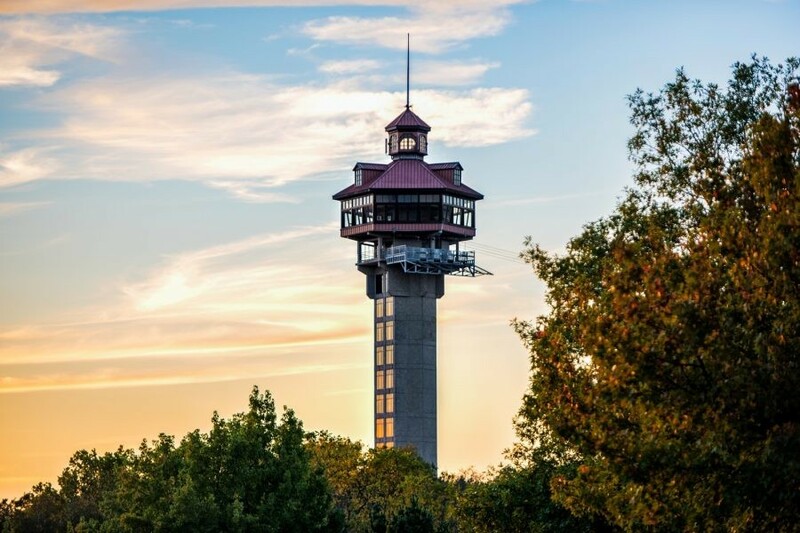 Standing more than 230 feet tall and overlooking the Ozarks and its mountains, the tower provides you with a one-of-a-kind chance to view the area with a bird’s eye view – on clear days you can even see objects up to 90 miles away! As you enter the structure an elevator whisks you to the top of the tower to an enclosed viewing platform. Once atop the building, you can look through the large glass windows or use one of the telescopes to view objects even farther away or get a closer look at areas that interest you. 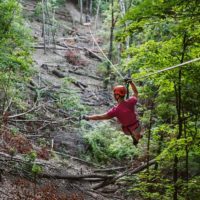 Overlooking the incredible Ozark Forests and Mountains, and the historic Shepherd of the Hills Homestead and famous Outdoor Drama – it’s truly an experience you won’t want to miss! Zipline from the top on the Vigilante ZipRider! 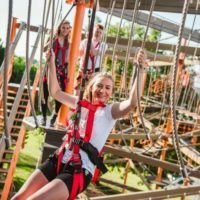 Thrill seekers can also take a ride on the Vigilante ZipRider – the tallest zipline in the area and an attraction you won’t want to miss! In the holiday season, the tower is decorated with lights and Christmas decorations to become the largest Christmas tree in the region. We’ve gone up in the tower several times and always enjoyed it. Loved the Ride to the Top. 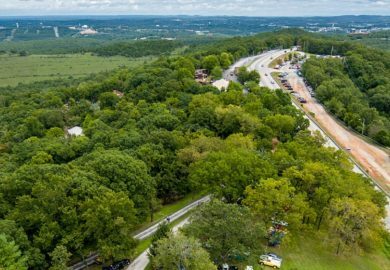 The view of the Ozarks is amazing. 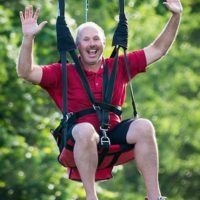 The zip line, the “Vigilante Extreme” ZipRider, was so cool! It’s a half-mile long from the top!